A message from Hillary Skott, Astrologer…Enjoy! December 21 -27. 2015 The Solstice marks one of the four power points of the year as the Sun moves into ambitious Capricorn. Christmas day we have a super full moon in sensitive family loving Cancer. There is mystical connection to Neptune and a inspiring contact between Jupiter and Mercury. It’s a powerful time to get clear and certain about what you wish to accomplish and attract.Now is the time for your New Years resolutions. There is real umph behind your wishes now- get clear, set goals. Be practical while trusting that life is truly magical. The Capricorn Solstice marks a time of withdrawing our energy to gather our resources. We can go within to get clear about what it is we would like to welcome into our lives in the year to come. Capricorn is a stable, persistent, energy that likes the finer things in life. Often hard won with a long focused climb to the top of one mountain after another. We need this Saturn ruled energy to help lay solid foundations to build our empires on. Saturn wants you to ask yourself what your legacy will be. What will you leave behind of yourself when you leave this earthly dimension? This time of year is perfect for serious ponderous thinking. On Christmas Day there is a lot going on astrologically with a emotional Cancer full moon. A lucky trine between truth telling Jupiter and communicator Mercury and a harmonious trine between ultra spiritual Neptune. I imagine our ancestors and loved ones on the other side will be close to us this day. Bask in the Love and connection. No doubt we will all be feeling grateful and blessed this day. 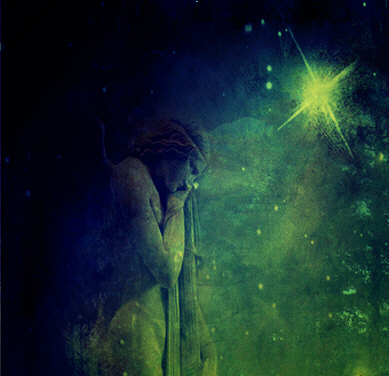 You may need to carve out a little alone time to connect to your guardian angels. What messages are coming through? Uranus is moving direct after 5 months retrograde. Sudden flashes of uncanny intuition are likely. Your special part in the grand scheme can be suddenly seen and forward movement is effortless now. Or at least the beginning of brave strides in bold new directions. Directions you may have known you need to take for awhile but have been resistant to. Write this stuff down so you don’t forget. The ideas that tend to resurface have meaning- don’t ignore them. Honor yourself this during this special time of year. The more you love you the more love you have to share with others. Seek peace and you will be a source of peace for others. Peace, Love and Harmony are worthy pursuits. Commit to bringing more of these higher qualities into your life. Please listen and share this powerful guided meditation by Orin on the Spirit of Peace. May Peace be with you. May Peace be with us all. Beautiful message from Shanta Gabriel…Enjoy! Hark! The Herald Angels are singing. Can you hear the Angel voices? They are inviting you into their midst. The Angels are calling you to rejoice in the Divine Love and Light streaming onto the planet during this special time called Christmas. Can you hear the Angels whispering to you? Listen with your heart. Allow your whole being to be receptive to these Divine Messengers who have watched over you throughout your soul’s existence. They are here now with one voice singing the idea of Peace within all beings. Making a joyful noise, for they offer you the gifts of Divine Light and a Love beyond your understanding. Receive it into your being and shine this blessed Light out into the world. Just be receptive now and allow Divine Grace to fill your being. This is one of the Angelic Gifts being offered at this time. Grace is needed to sanctify the Earth, and to bring greater coherence, respect and honoring of the gifts the earth supplies in abundance. It is time for the people to offer to themselves and to their planetary home the nurturing it needs to sustain life. When humans honor the Earth, they also honor the elements of themselves that make up the Earth. In fact it is your birthright to live in harmony with the Earth, to feel Divine Love in your being and the power of Life Force surging through you in ever-increasing waves. Allow it to spark every cell in your body and increase love in your being. As you do this, you glow as a radiant light. It shines forth from you and you become the Light to the World that the earth needs right now. It is a choice for you to make moment to moment, and requires you to create an intention to receive the harmony you want in your life, and a mental flip of the switch within your thoughts to create it. Becoming a Light to the world is not arrogant. When one carries conscious awareness of Higher Truth, it becomes your duty. As the apparent darkness of chaos and fear are so obvious, what could you need more than Light? At this holy time the Light of the Christ energy is more available than ever before. This blessing carries the energy of Divine Love into your heart and out into your world. Feel this Light in you that holds the divine qualities of Wisdom and Love, and share it with others. Radiate Light to your government and the world leaders. Send it to areas of chaos in the world, and to those who work hard to ease the suffering in those places. Transmit Divine Light to the environment, and to all the living beings that are not human on this beautiful planet. Don’t forget to shine the healing Light onto yourself and your families. This energy brightens and reconfigures the power that inspires you into Divine Right Action. It is one way to bring harmony and overcome despair within yourself and the world. As you celebrate the gifts of this Christmas season, there are many who remember the Angels during this time more than at any other time of the year. Legions of Angels are gathering ever nearer the earth now, drawn by the prayers and the thoughts of so many people. This is a tremendous blessing that opens your heart to more love and allows your mind to receive a greater level of Grace. It is a good time to take a moment to honor and connect with your Angelic guides. Ask for personal assistance in all areas of your life and listen – really listen, as the Angels whisper in your heart. They want you to follow your heart’s message and feel the guidance available to you from the spiritual realms. There is an Angelic representation for the Soul of the Earth and the Heavenly Realms. Your guardian Angel can work with these Angelic beings to bring more harmony within you so you can feel more connection to your Spiritual Source and more inner peace. Your Guardian Angel has been given the duty to help you to live in alignment with your goals and intentions for this life. Through your personal guardian angel you can learn to live in greater peace with yourself as a prerequisite for Peace on Earth. This Angel is also offering to you the ability to feel Oneness and Union with your most Divine Self. As you have grown into adulthood your Guardian Angel waits for you to ask for help. Consider that it is now time to ask. Your Guardian Angel has been with your soul since its incarnation, offering guidance and protection so you may find your Divinity and fulfill your spiritual destiny. This beloved angel has intervened on your behalf to relieve your karma and wants nothing more than the fulfillment of your soul’s imperatives. Take time to feel gratitude for this Divine Messenger who has such care for you. At this holy time of the year, there is also more awareness of the Archangels. Archangel Gabriel holds the empowerment for the winter season, and stories abound of his intervention throughout the ages during the darkest nights. The Archangels are given Divine charge over all communities, nations and seasons. During the 12 Holy Nights beginning December 24, the Archangels freely erase all boundaries between nations and factions. The Light of True Peace prevails in the Heavenly realms, and can be called forth onto the Earth. Join with the angelic host to spread this Light through your own life and pray for healing of all nations and families. Use this pervasive light from the Archangels to bring greater consciousness through you and all beings on earth. This energy can make a true difference, bringing Peace within all hearts. The realms of the Angels are available as never before during this precious window of time. There is a stillness of this season that pervades the northern hemispheres as the earth sleeps in the darkest time of the year. People know the sunlight will return, and it is the same with the spiritual realms.With faith, you believe that in the darkest times, the Divine Light will prevail. There are ancient traditions that honor the return of the Light following the Solstice. As you allow your soul to rest in the depth of the darkness, you can symbolically come into the clarity of the Light and receive a much-needed gift by creating a personal ritual for this time that has meaning for you. Consider the beauty of the symbols within the Twelve Nights of Christmas. You can use the time from December 24 through January 5 as an inner journey to give birth to the sunlight in your being, and illuminate the darkness within and around you. As the Archangels use this powerful time to end separation, they create an opportunity for true world peace when the empowered energy is focused on peaceful coexistence. The Twelve Nights of Christmas act as windows to your soul’s purpose and can empower your new year. Many traditions light a colored candle for each night. The Twelve Nights can be used as an opportunity to go back through the 12 months of your year and honor your achievements and the lessons learned. Each night can feature a spiritual hierarchy and a virtue that you would like to bring into your life in the New Year. It is a special time to pay attention to your dreams because they could be prophetic during the Twelve Nights. There is also an opening for the clear light of understanding and insights from the Angels that can work through you. Some Christian traditions honor the 13th night, January 5, as Epiphany. As the twelve nights progress, you can set a goal for true clarity and wisdom to enter your mind and heart during the twelve nights. Is it not appropriate for you to receive a clear epiphany about your life as well? It is a wondrous tradition to give freely during this Holy Season. Your generosity of spirit and willingness to give opens the energy centers within your body so that God’s Infinite Love is experienced. This Divine Love is unconditional and flows so freely, all are blessed by its presence. When hearts and minds are touched in this way, there is a healing. You will never be the same. You can keep this sense of loving gratitude and willingness to give within you throughout the year by setting the goal to do so. By creating your personal traditions and meaningful ritual for this Holy Season, you can use the spiritual support that is available to you. With this support and your clear intentions, you can experience transformation within your being and blessings in your life. Do not let the material world overpower the beauty and depth that truly exists during this special time. Let this Divine Light fill you now. Allow it to enlighten your mind and heart, and illuminate every cell and fiber of your being. Your willingness and open-hearted acceptance of this Divine Love blesses your body, mind and spirit. Receive this gift and allow the Light of the Christ to be born within you this Holy Season. 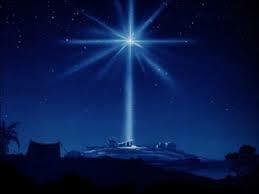 Let this Light shine forth from you so there may truly be Peace on Earth and Good Will between all beings. Please enjoy this guided meditation from Shanta that celebrates the birth of the Christ spirit within you. Beginning December 24 until January 5 (Epiphany) the 12 Holy Nights of Christmas are traditionally celebrated with a special ritual candle lighting and dedicated prayer. Shanta will be posting this beautiful practice on her blog at www.ShantaGabriel.com. On December 12, Shanta led a dedicated group in joining with thousands of people all over the world who gathered to honor the anchoring of the Christed Light on the Earth. Together we stepped through the energy portal that will complete on the Solstice. It was a very powerful session with much depth and connection to Source energy. A recording of the 12:12 Portal Teleconference is available here. Shanta was joined by Shamanic Astrologer, Kelly Beard to celebrate the Solstice, December 21, 2014. This gathering was a deeply moving connection of dedicated souls all over the world. Not only did Kelly share some important insights about the astrology that supports our new year, we also created a deep awareness of the Sacred Feminine entering into this time on Earth. Together we created a deep connection to the Angelic Dimensions, who are assisting the process of our awakening. The Angels are more available during this Christmas season than in any other time of the year. A recording of the teleconference is available here. Purchase before the end of December to receive $25 off the regular price of any reading or session. The reading or session does not need to be held before the end of the year. Michael is a “modern day shaman”, with a unique perspective very loving and very effective . He will guide you so that you are able to deeply connect with your own Spirit, your inner guidance, ideas, visions and heart’s desires…through beautiful sacred Spiritual teachings, studies and practices. We each have a soul connection to Earth and Spirit. Shamanic practice can help us to bridge the two. Michael uses drumming, visualization and heart-based guidance that has life-changing qualities. You’ll love this! Michael’s gentle, yet powerful guidance enables us to bring forth all that is part of the unseen, in a rich, creative and meaningful experience of life. I want the very best for you! I want to help you open the doors to achieve more love, more peace, more abundance, more light, more of whateverYOUR HEART DESIRES! Wisdom…we all need it to exist, to survive and, more importantly, to thrive! It’s the basis of all knowledge, support, direction, and guidance. Much great wisdom is available to us from the storehouse of memories, storytelling, song and sharing of indigenous peoples across the Earth. We can learn much from them, much that can help us navigate the waters of our life TODAY! We can use the Energy of Indigenous Wisdom to enjoy and enhance our life and to protect and improve our Planet. How? We can know more, we can understand, we can all connect with the Energy of Indigenous Wisdom for our highest and best good, and the good of our entire world! I always select topics that I feel are important for me, too, to learn more about and to share my learnings with you. I follow Brenda Hoffman’s inspired messages…Enjoy this one! 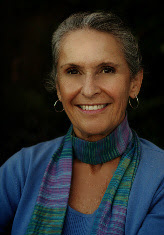 Summary of Brenda’s March 29, 2014 free, 15-minute, channeled “Creation Energies” show at http://www.BlogTalkRadio.com/brenda-hoffman: Those of you at the forefront of this transition are finding peace within yourselves – even if it is not yet easy for you to believe that such is so. Those of you following do not yet feel that peace – but you will. It’s just not time for you to do so. And you’ll discover peace more quickly than was true for those now at the forefront for they are lighting your way. Brenda’s “Creation Energies” BlogTalkRadio.com show and “Brenda’s Blog” contain different channeled information. You are likely experiencing new thoughts and sensations. Not all of you will feel or sense the same, but know that you are accessing more information than was true just a few days ago. Some of you will sense colors within colors or music within music. Others will know more. Others will feel as if they are floating away and yet remain of earth. And still others will hear things of earth not noticeable before. As your physical being shifts or adds skill sets, you might experience headaches, sleep pattern shifts or the need to rest. This last energy burst was directed to your physical being. The last piece in the puzzle of the new you. Perhaps you remember past channels in which we outlined that your new being progression was to shift your spiritual being, then emotional and finally your physical being. So it happened that advance Lightworkers’ physical being shifted dramatically the past few days. Those just awakening are sifting their way through their spiritual being. Hence their new-found interest in reincarnation, tarot, astrology, channeling, religious teachings or any information that speaks to their spiritual being. You, however, are discovering new skills within your physical being. A bit like the comic book character Superman and his x-ray vision. For as you access your new physical skills, you will note your being changing in ways perhaps not yet addressed in new earth materials. You are combining your physical, emotional and spiritual skills to create the path correct for you. So it is that your skill set is complete – for now at least. You continue to be part of the whole, of the One. But your cells are dividing into the unique entity that is you – the you declared by you before entering earth in this lifetime. Prior to this past energy burst, you were a mass of cells little different from the other mass of cells that are part of the One. You can no longer compare yourself to others in any way including jealousy, embarrassment or whatever emotion you used in the past to tell yourself that others were more skilled or better than you. You are a unique individual now. Some of you will planet hop. Others will integrate your skills with other beings to create a new whole. Or other activities of which you are not yet aware. This is where the rapidly moving river branches into tributaries – each with its own beauty and task. At some point, the tributaries will again join the whole. But not now. Now is the time to claim your role through your new physical senses. There is no need to consult others to determine if you are right for they know less about your path than you. Some of you claim you have no idea what to do with your new skills. It is time for you to listen to your inner-being. For your inner-being is your guru, your teacher. You may feel a bit disjointed at first, but all will fall into place once you trust yourself enough to follow your joy. Many of you will note your new skills and feel that you owe it to the Universes to immediately jump into your new capabilities. Such is not true. Allow your inner-being to direct you in the way best for you and the Universes. Maybe part of your new skill set is to read a fun book or see a movie. Now you are thinking that having fun is a waste of time. That you need to immediately claim your skills and work at whatever is your role. Such is a 3D thought. Perhaps your body needs to adjust a bit before you start testing your new skills. Perhaps by jumping into something out of guilt or shoulds, your skill set is lost for a bit. There are no shoulds. Your inner-being might direct you to play for a few days or even weeks. Or to test your skills immediately. It does not matter for you will perform as you wish and planned before entering earth in this life. Part of the joy of this life is the ability to direct your life within the broad framework of new earth. All you ever need to remember is that if something is joyful, it is right for you. Allow yourselves the freedom to be – now more than ever. For indeed, you are new beings in a new place. So be it. Amen. http://www.LifeTapestryCreations.com If you would like to receive Brenda’s free blogs when posted, please click the Subscribe Button on the upper part of her subscribe and blog page and then click the – Subscribe to Brenda’s Blog by E-mail – line. Complete your subscription by entering your e-mail address and accepting the e-mail confirmation. Air…we need it to exist, to survive. It’s one of the basic Elements of Life. We can use the Energy of Air to even more enhance our life and to protect and improve our Planet. How? We need to know more, we need to understand, we need to commune with the Element of Air. We are moving into the astrological sign of Aries very soon…How can we use this Energy of Air for our highest and best good, and the good of our entire world? There are many different types of prayers and blessings, and they can all have such a profound influence on our lives! It’s my mission to provide transformative concepts, methods and processes so that YOU can create the life which is truly your Heart’s Desire. I’m honored to share this life-changing information with you! Our current theme for Inspiration for the Week is going back to the basics. The Gabriel Messages book and the companion cards continue to be basic tools for me that are powerfully relevant for these challenging times. We are drawing on the compassionate and timeless wisdom of The Gabriel Messages now to provide insight each week as we move into the New Life of 2014. For this week’s issue, the card that was chosen is one that I find very inspiring. 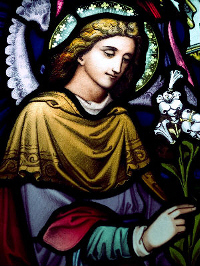 From the beginning of my association with Archangel Gabriel, he spoke to me in CAPITALS. While writing the messages I received, I noticed that often these capitalized words contained high frequencies of energy and deeper meanings. Words such as Life, Peace and Joy would all be written with capital letters to give them stronger emphasis. It became clear that these words represented Qualities of Consciousness. The capitalized words acted as Spiritual Principles that carried a deep resonant frequency. When I played with these words in my meditations, they had the power to change my consciousness. Archangel Gabriel suggested that I sit in the consciousness of an empowered word like a bath of Divine Light. This became a focal point for my meditations. Imagine immersing yourself in Peace or Joy for a few minutes. Let the Light frequencies in one of these words fill every fiber of your being and flow into your heart. After you feel this energy strongly in your heart, let the Light fall through your base chakra to anchor into the earth. When I followed these instructions, I was surprised by my illuminated ability to sense the Divine Intelligence inherent in the qualities of Light these words represented. As the energy frequencies on the planet have increased, so has the power of certain words to change our vibrations and affect our lives through their magnetic resonance. Each of these powerful words acts as a Quality of Consciousness that we can bring into our lives. It is our focus of attention that helps to attract these qualities into our energy fields, where they can empower us to new ways of being. When I meditated with these words, I could feel that my energy would be uplifted by their power. It felt like these capitalized words were acting as living frequencies of Light that became available to me in a new way. I could make these words into my intentions for the day or direct them into different areas of my life, and I would feel the impact that focus would have. Archangel Gabriel has stated that there is a clear requirement for us to anchor these higher energy frequencies on the Earth so the consciousness of all people can be uplifted. When we sit in the field of Divine Light frequencies carried in certain words of power, we create a bridge from Heaven to Earth. As simple as it seems, this exercise has the capacity to create beautiful change on the planet as well as in our own lives. Creating new life begins with the our intentions for what we want to experience. We have a choice, moment to moment, where we place our attention. These choices open us to amazing support from the Universal beings that believe in our Soul Purpose and are committed to our expanding consciousness. This level of alignment to Source energy assists our ability to be more conscious in life. As we immerse ourselves in the power of living words of Light, we allow the Divine Presence to work within us, inspiring the heart-centered action we need to fulfill our Soul’s Destiny on Earth. There is a Universal Flow of energy awaiting your command. You live in the pure potential of All That Is, a River of All Creation. When you are aligned with what you want to create, and open to receive, that powerful river of creative energy will flow in the direction of your intentions. It is the natural order of life yet it will feel like a miracle. Make choices for greater Life, Peace and Joy and all the forces of the Universe align themselves behind you. After a serious health challenge 30 years ago, Linda stepped away from allopathic medicine and delved into alternative health, energy therapies and spiritual teachings. Her passion for transformative inner work has brought her an awareness of the role that the subconscious mind has in determining our quality of life … and the incredible wisdom we can access with its assistance. She has become a specialist in shamanic journey work, and is a loving, gentle and powerful guide, leading and encouraging anyone who wishes to travel deeply within for gifts and answers to their own life questions. Take a beautiful, insightful, fun and fascinating journey into your own deep spaces and enjoy the adventure! Linda’s beautiful “Elemental Kingdom Within You” work is completely unique. She has a soothing and reassuring energy that will deeply resonate with you. Linda’s special package is a series of guided Shamanic journeys to help you access your inner world for wisdom and guidance. It is a process that can bring awareness and insight, and it is great fun! Taking a Shamanic journey is similar to entering the dream world. It allows the opportunity to consciously experience what is held in your unconscious mind. Sometimes you have access to very specific and direct information, but most often your journey is symbolic and includes hidden messages. In fact, everything in your journey is a symbol of some aspect of you or your life. If you take the time to interpret it—even just the major symbols— you can receive great insights. Each journey can be taken over and over again, helping you to work through real life issues or receive guidance and understanding for your spiritual growth. The journeys are intended to be used for self-exploration and awareness, leading to transformation, but you can also use them for relaxation or just for fun. This downloadable package consists of 8 audio mp3s (including seven guided journeys and 1 invocation) and a beautiful 53-page workbook in pdf format. She also includes three relaxing and healing guided meditations in mp3 format as a BONUS. Within the journeys, you have the opportunity to communicate with your guide(s) to ask for clarity about your experience or other aspects of your life. It is also possible to communicate with the symbols themselves and directly ask them their meaning. Take advantage of this very special opportunity to journey deeply with yourself, and discover the wonderful elements inside of YOU!